We have had some glorious summer days recently and I most defiantly have been enjoying and making the most of the sunshine, but in these warm days, I want some delicious yet healthy to quench my thirst and sometimes water just doesn't hit the spot. So I was really pleased to get my hands on these Robinsons Refresh’d drinks. Robinsons Refresh’d come in three delicious fruity flavours: Orange & Lime, Apple & Kiwi, and Raspberry & Apple, each drink is a mix of spring water and real fruit and contains no artificial sweeteners, colours, flavourings or preservatives which help people make healthier choices helping people reduce sugar intake. Apple & Kiwi Refresh’d is mouth deliciously mouth-watering and refreshing. Apple & Raspberry juicy raspberry and red apples combined to deliver delicate complementary taste. Orange and Lime a fresh taste of juicy orange and zingy lime. 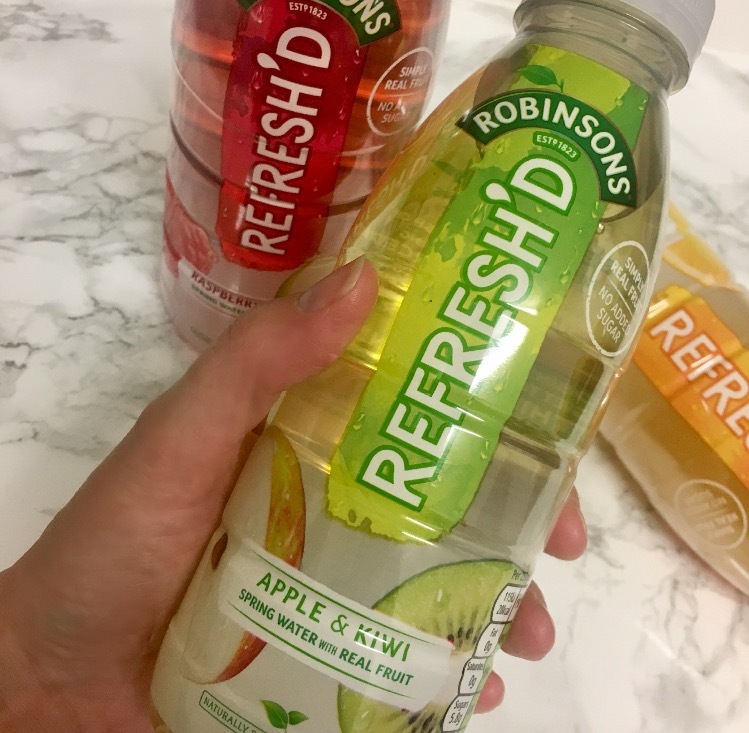 Robinsons Refresh’d contain 100% naturally sourced ingredients, with a refreshing real fruit flavour. Refresh’d contain simply real fruit, spring water and naturally sourced stevia leaf extract. They are simply delicious. Refresh’d retails at £1.29 for a 500ml bottle and is available from all major retailers nationwide.